Start-up incubators have become synonymous in the past few years with the thriving scene of innovation taking place in Silicon Valley. From RocketSpace, which produced such notable alumni as Spotify and Leap Motion, to Y Combinator, which helped develop Airbnb and Dropbox, the limits of innovation are only set by the entrepreneurs themselves. But drive about eight hours south of the Bay Area and you will discover a new kind of incubator. 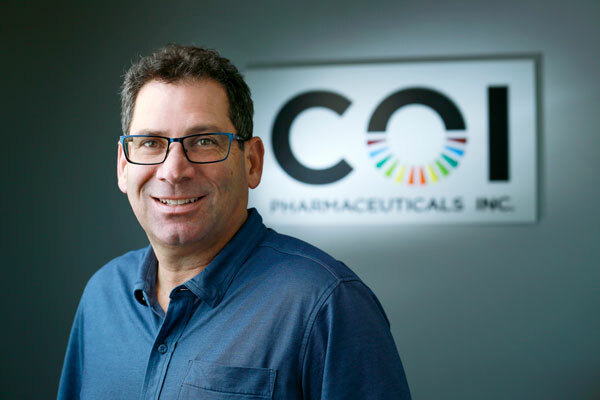 It’s here in San Diego, which is the third-largest biotech hub in the world, where you’ll find Jay Lichter, president and CEO of COI Pharmaceuticals and managing director of Avalon Ventures. Just as Silicon Valley has become synonymous with technology and start-ups, the life science community of San Diego has become renowned as a center of innovation and a destination for entrepreneurs in the life science community. sciences and tech,” Lichter says. COI, which stands for “community of innovation,” is a fully integrated life science incubator that was established in 2013. As an unconventional entity, it reduces the cost and time to start-up and manages a biotech company by providing streamlined key operational resources. These companies are funded through different mechanisms—Avalon X and XI, Avalon-GSK collaboration, and soon COI Ventures I. COI then provides companies intellectual support by bringing together entrepreneurs, scientists, and industry mentors to collaborate on translating scientific breakthroughs into medical products. Currently consisting of more than seventy scientists, COI Pharma support staff provide management, finance/budgeting, human capital, real estate, and capital equipment to each portfolio company. Lichter, who was originally a scientist, entered the entrepreneurial world in the early 1990s with a company in Avalon’s portfolio. After becoming CEO of several small companies, Lichter found space in San Diego where he could localize these organizations. About ten years ago, that turned into the beginning of what would later become COI. Lichter soon became a partner, and Avalon added more companies. In 2013, GSK and Avalon entered into the first-of-its kind collaboration, and Lichter says the partnership helped advance the speed in transitioning concepts and ideas from life science entrepreneurs into functioning companies to address unmet medical needs. Each portfolio company rents time, space, and equipment as needed from COI, he explains, to pursue a program or project. There are currently fourteen companies within COI. Before coming to COI with an innovative, scientific proposal, Lichter says the entrepreneur’s concept has to address an unmet medical need, as well as be disruptive technology. “It can’t just be incrementally better. It has to be substantially better,” he says. The technology and science also must be tractable—meaning COI can see the path from invention to product development. One of the keys for COI is having a clinical and regulatory strategy to get to market. The entrepreneurs themselves must also showcase their drive and commitment for building companies and bettering the community. stage developments are typically self-funded or co-invested in a build-to-buy partnership. Once that criteria is met from an entrepreneur, the next step is visiting the COI team and presenting the project. Lichter says the company has a science committee meeting, which is made up of the top dozen scientists in the organization. These scientists hear the pitch and then ask necessary questions. If the committee approves of the concept, then it goes to GSK, which will either agree to collaborate on the concept or state why it isn’t a good fit for the company. Lichter says the process takes about two months from pitch to development. On average, Lichter and his team review 20–25 projects a month. Over the past five years, they have reviewed more than one thousand proposals. “We are in the business of moving fast, and if we want to do something, we decide to do it. If we don’t, then we step away, and we typically explain to the entrepreneur why we’re not doing it,” Lichter says. Since COI’s founding, eighteen new companies have been formed as a result, including Synthorx, a synthetic biology company that is working to discover and develop novel protein therapeutics. Synthorx was able to achieve this by introducing a disruptive technology that expanded the genetic alphabet to six base pairs—A, T, G, C, and then X, Y—instead of four. That technology enables the company to make novel protein therapeutics with improved pharmacological properties, such as reduced side effects and better efficacy. Another medical breakthrough comes from a company Lichter founded, Otonomy, which develops technology for disorders of the ear. The company has developed a treatment for Ménière’s disease, an inner ear disorder that causes vertigo. Treatments for in-ear disorders cannot be administered via traditional medicine because the cochlea is a sensory organ and has barriers in place. Therefore, Otonomy developed an injection across the ear drum into the middle of the ear, which then treats the disorder via osmosis. This has led to a pipeline of products addressing unmet medical needs, such as Ménière’s disease, as well as hearing loss and tinnitus. Some of these products and companies may not have the name recognition that those coming out of incubators in Silicon Valley might, but it’s the nature of the products themselves that are completely disrupting the science and technology community for the better. Lichter not only credits this to the entrepreneurs and developers, but also to the strong culture at COI and its outstanding partnership with GSK.